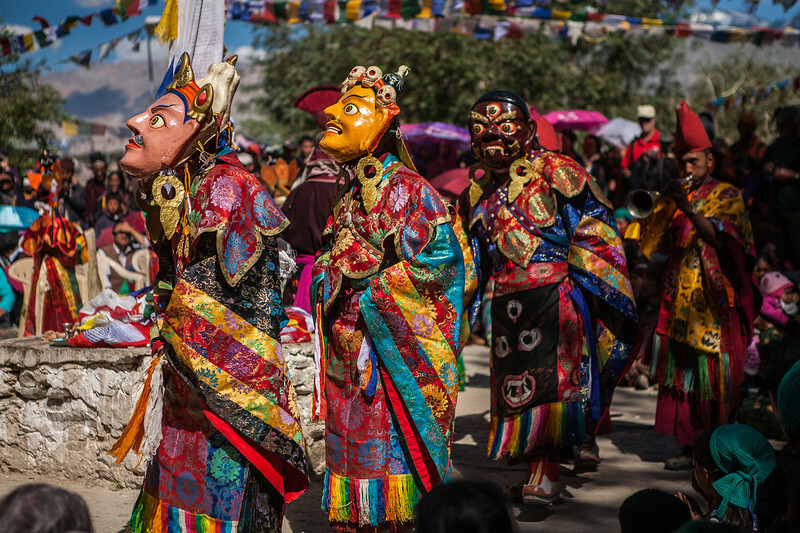 This is Cham, the war dance of the Sani festival. 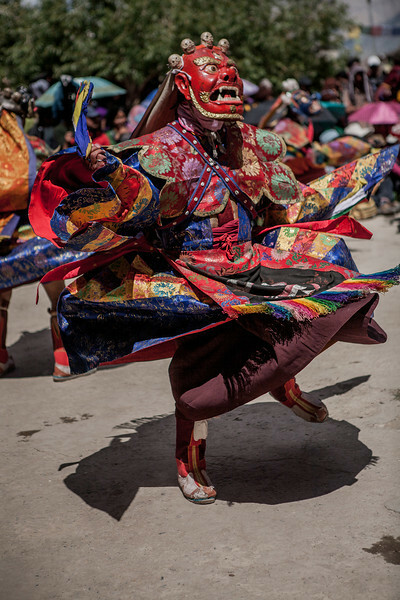 In this dance, the brave warriors kill the enemy with the arrows that are hidden in their sleeves. 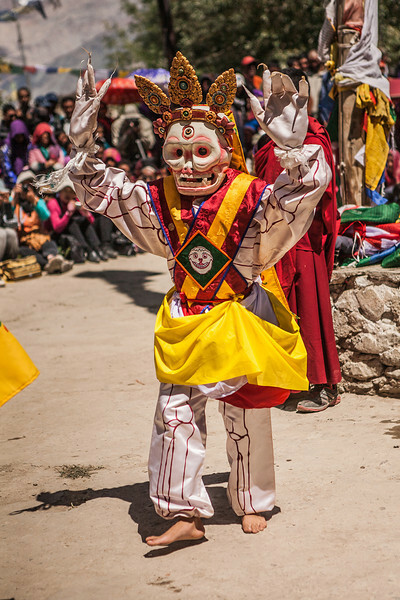 Read more on Sani festival: Colourful victory of good over evil. 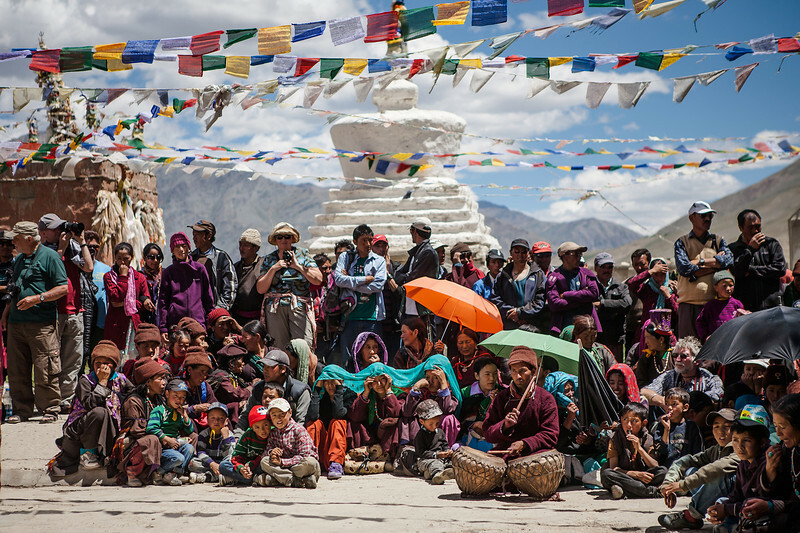 All set for the Sani festival to begin. 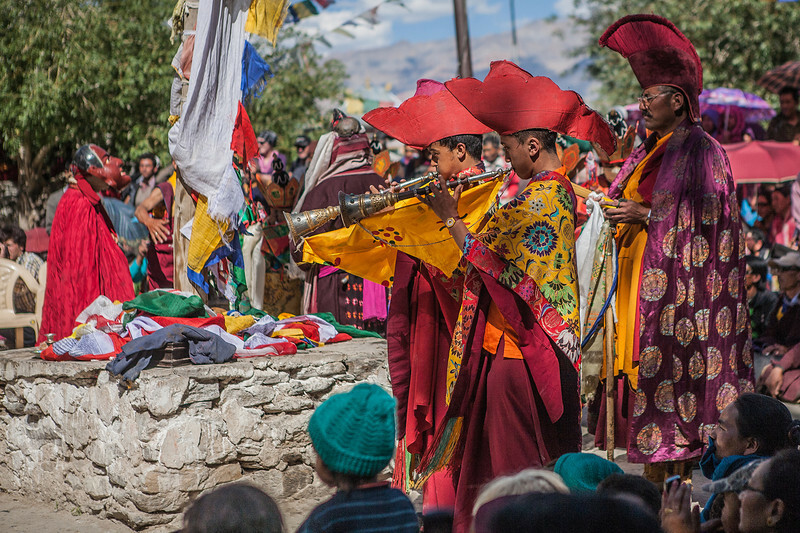 The Sani monastery is all decorated for this special day of Sani festival. 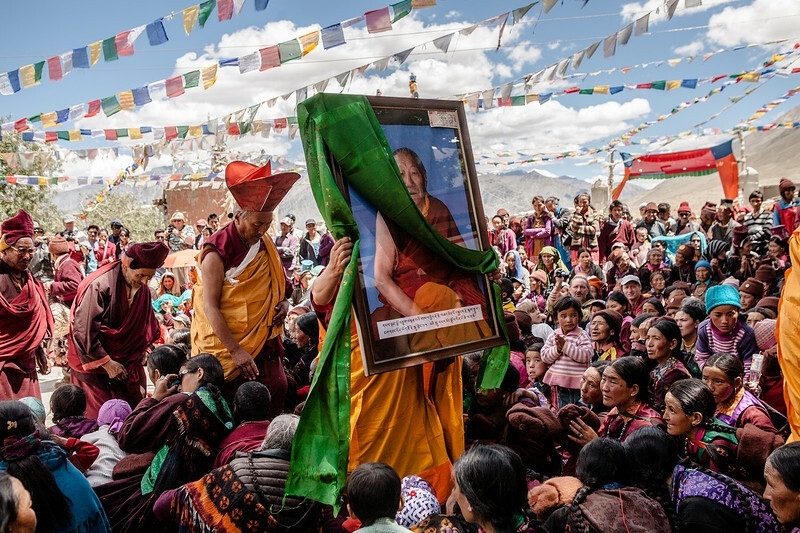 Crowds gather in large numbers. 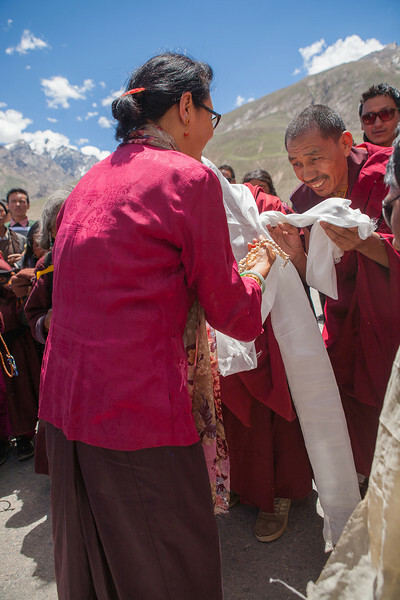 People from far off villages in Zanskar come to Sani for this occasion. 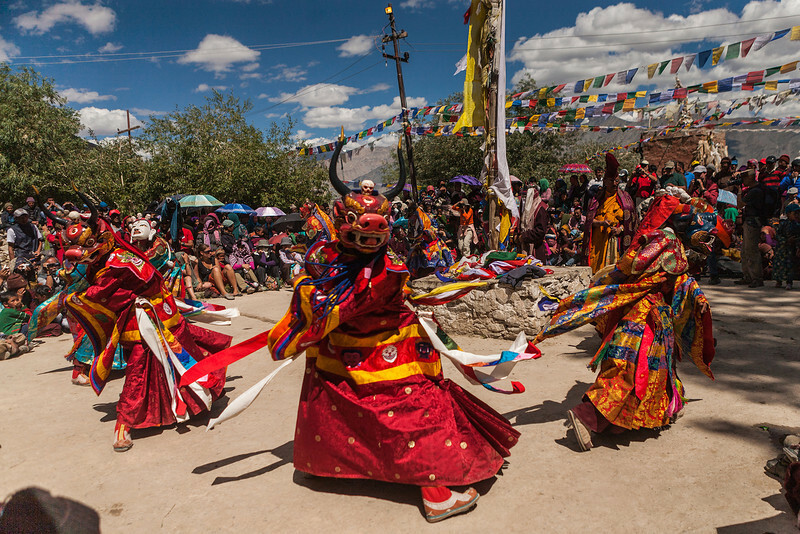 Read more on Sani festival: Colourful victory of good over evil. 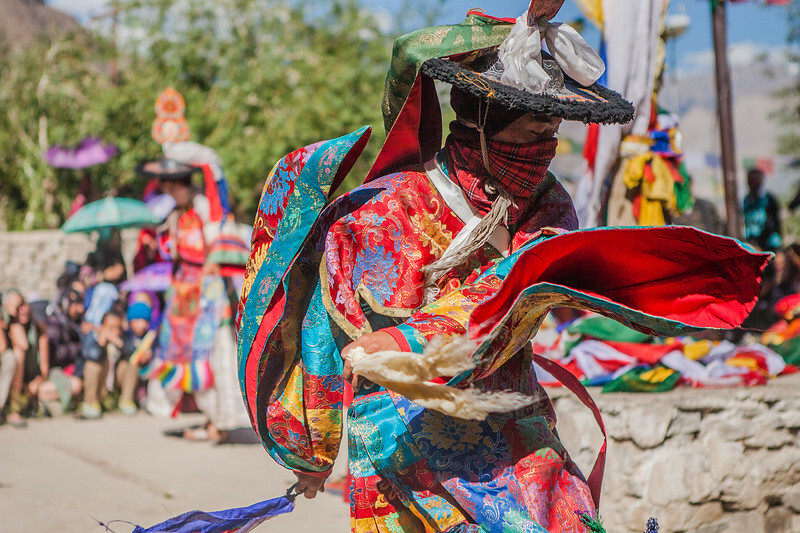 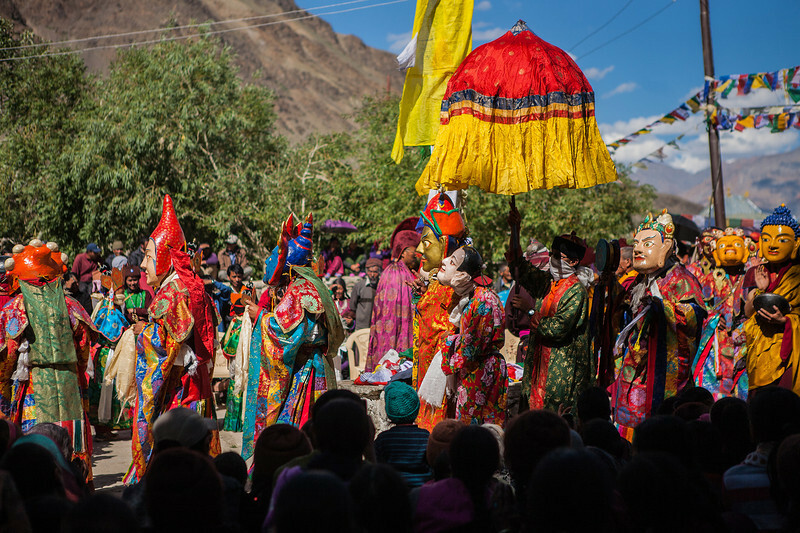 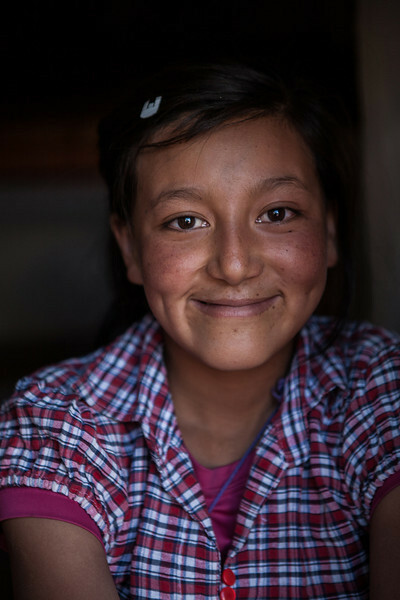 A two-day riot of colour, dance and music, the Sani Festival is the perfect way to build a social camaraderie among the far-flung villages of the Zanskar valley. 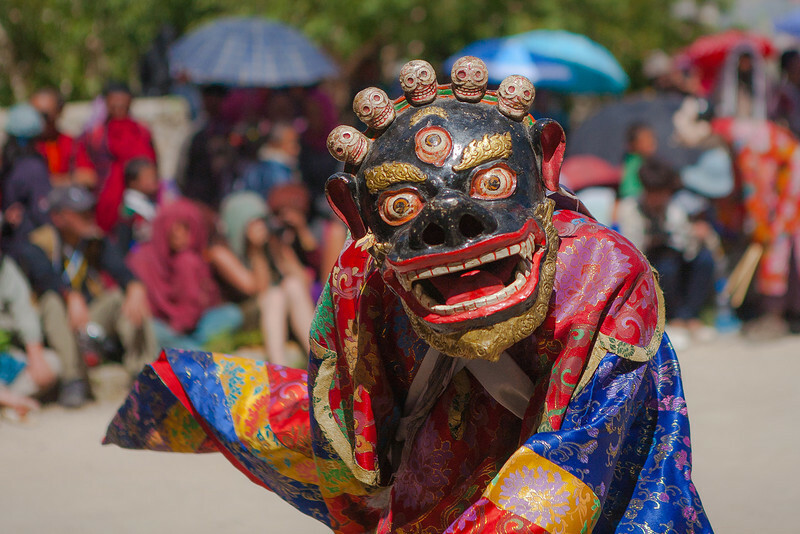 Read more on Sani festival: Colourful victory of good over evil. 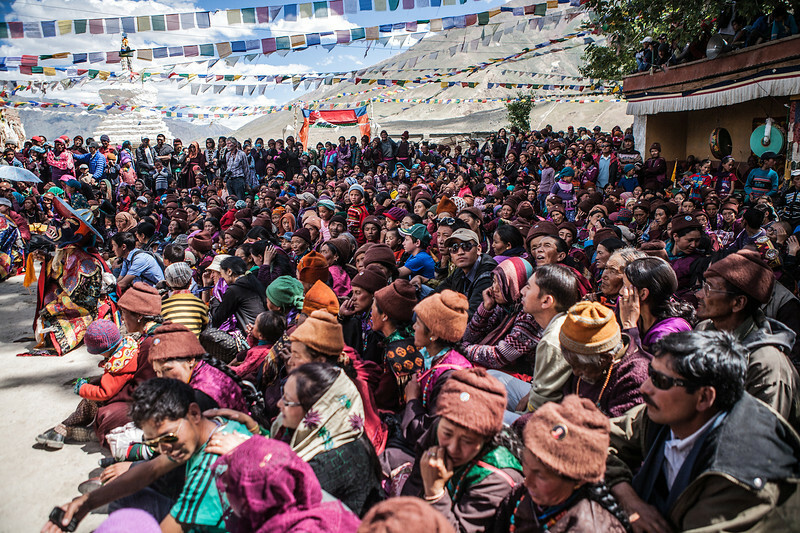 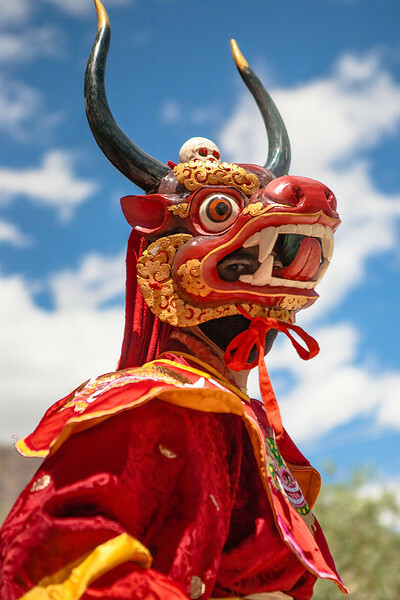 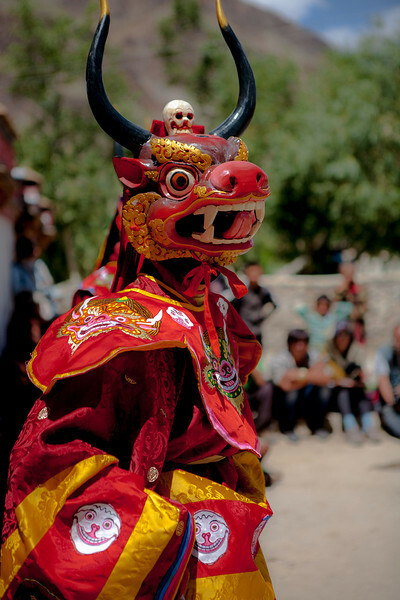 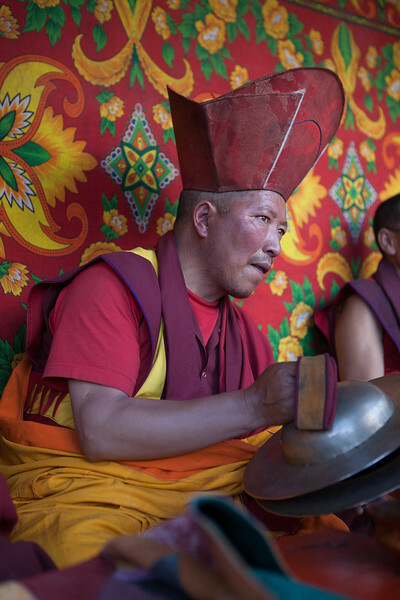 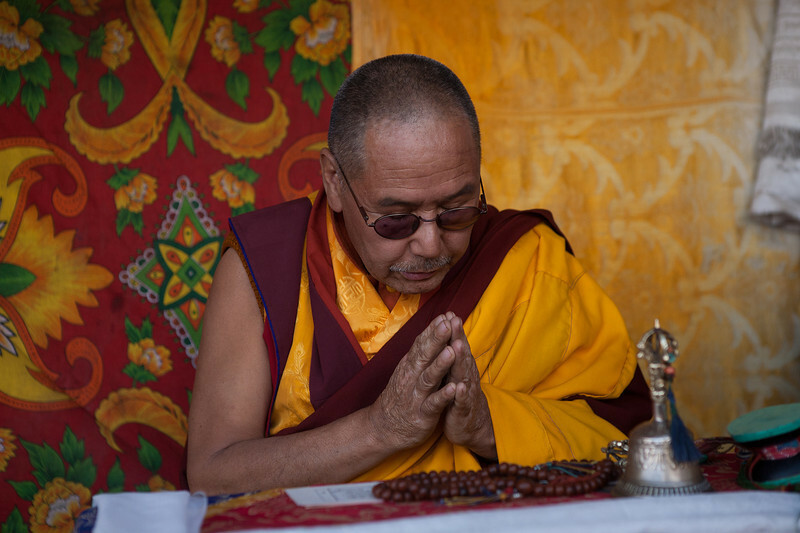 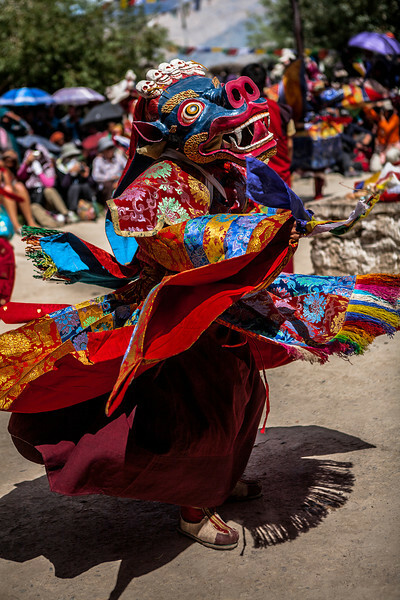 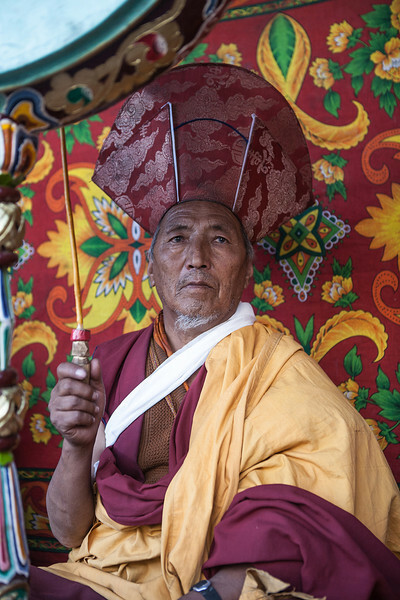 Sani Festival is an important event in the social calendar of Zanskar. 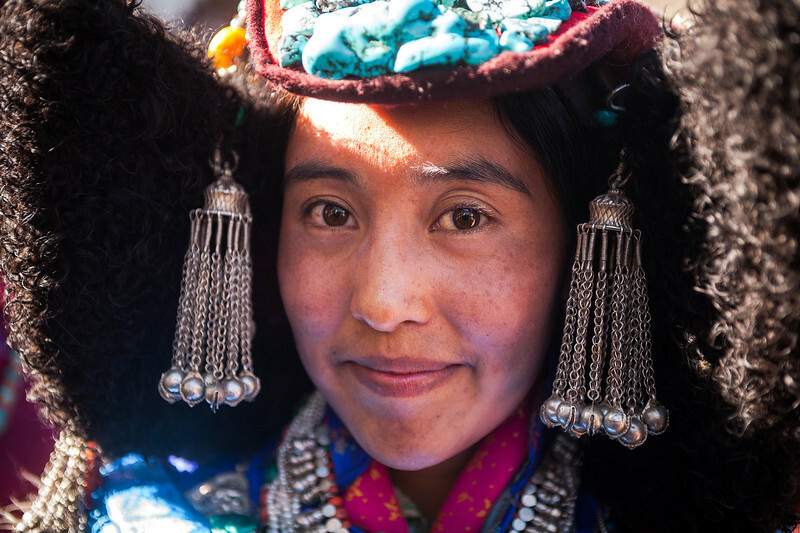 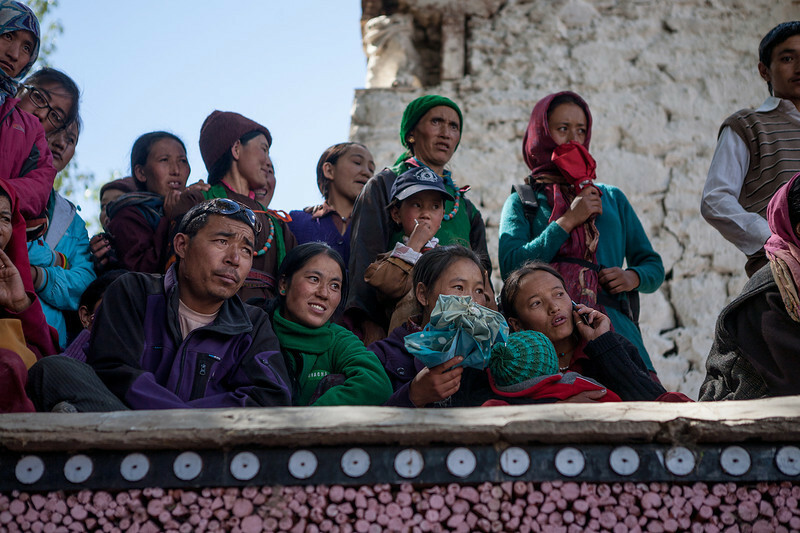 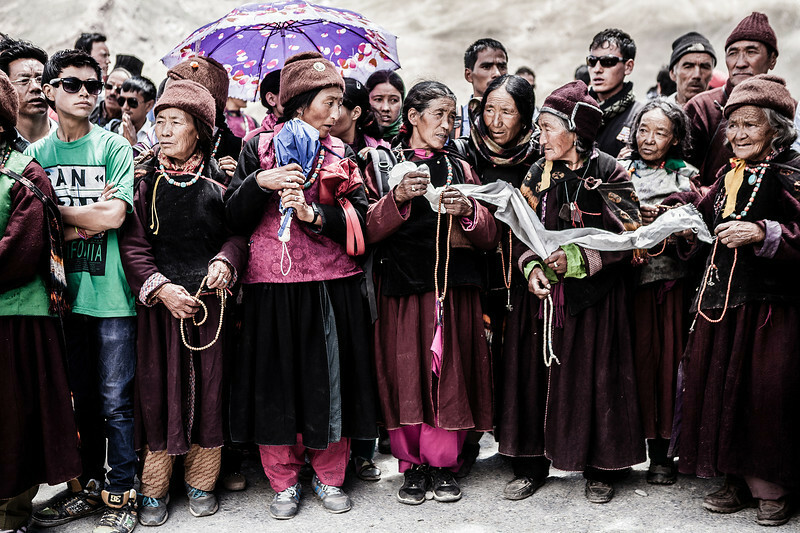 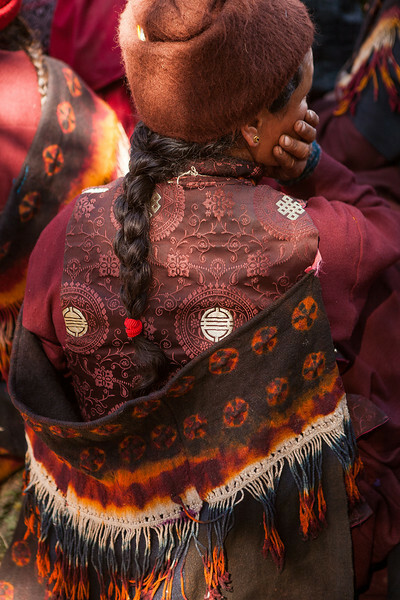 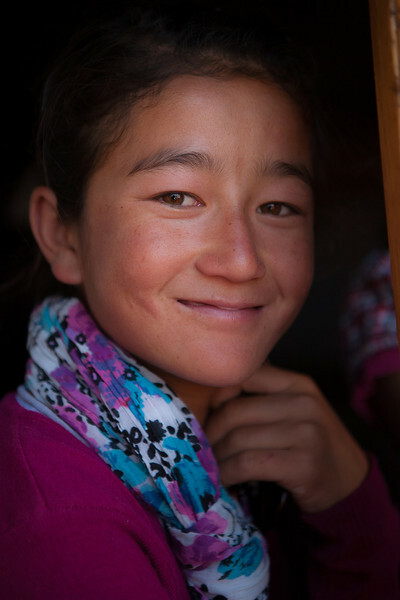 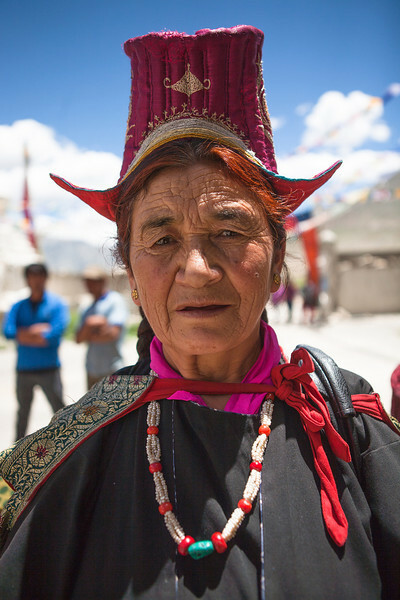 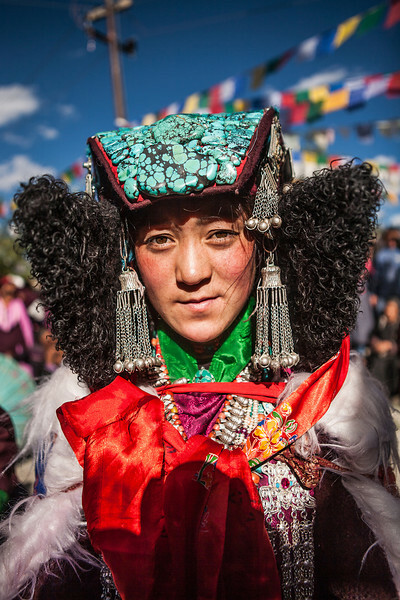 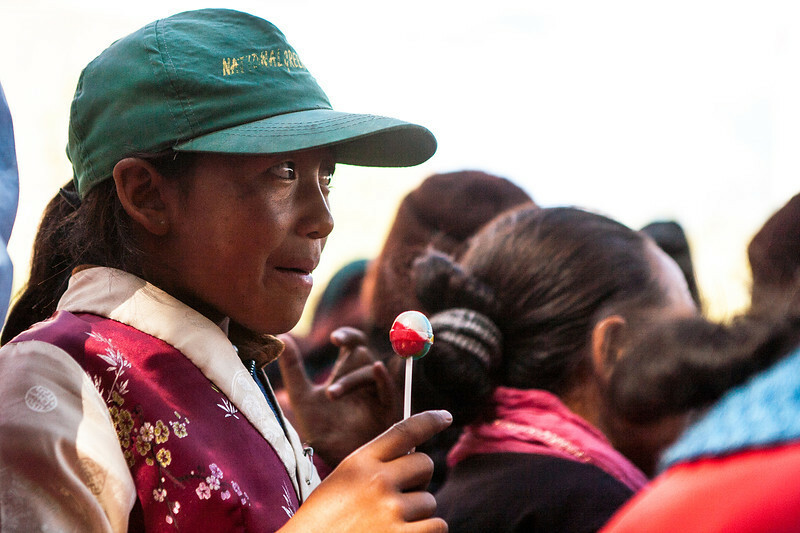 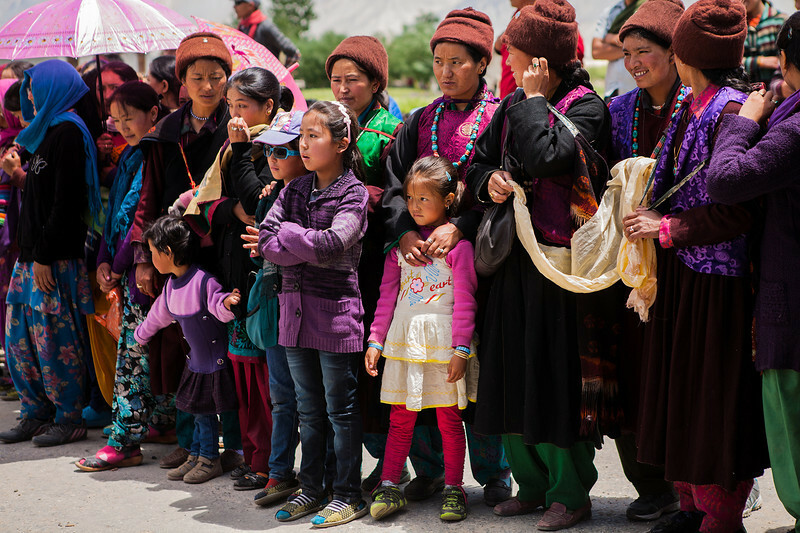 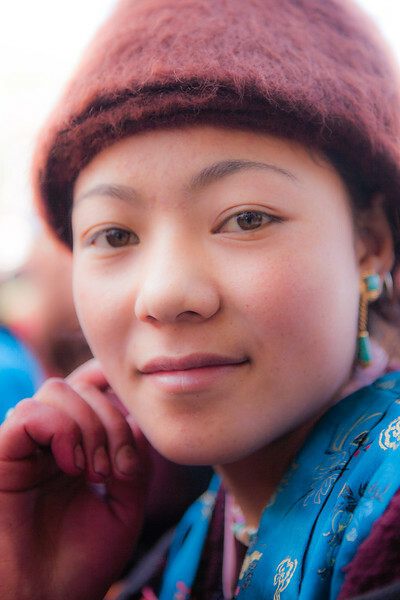 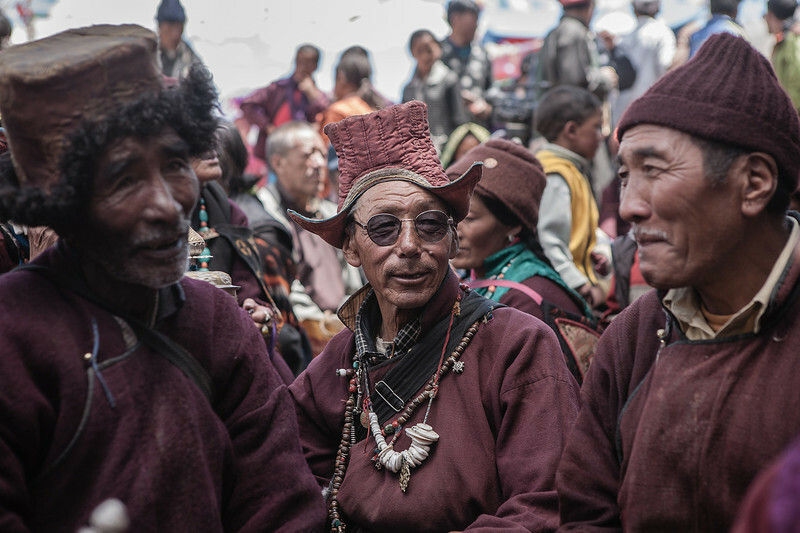 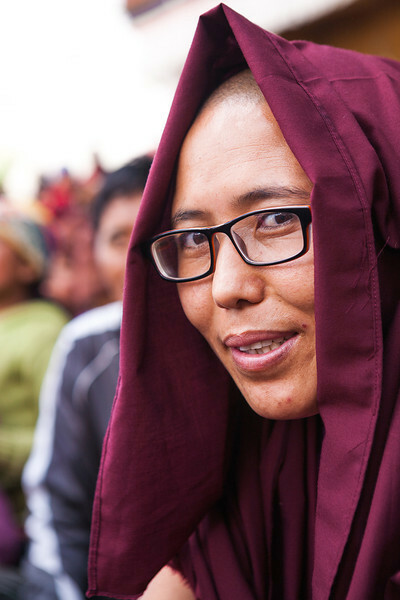 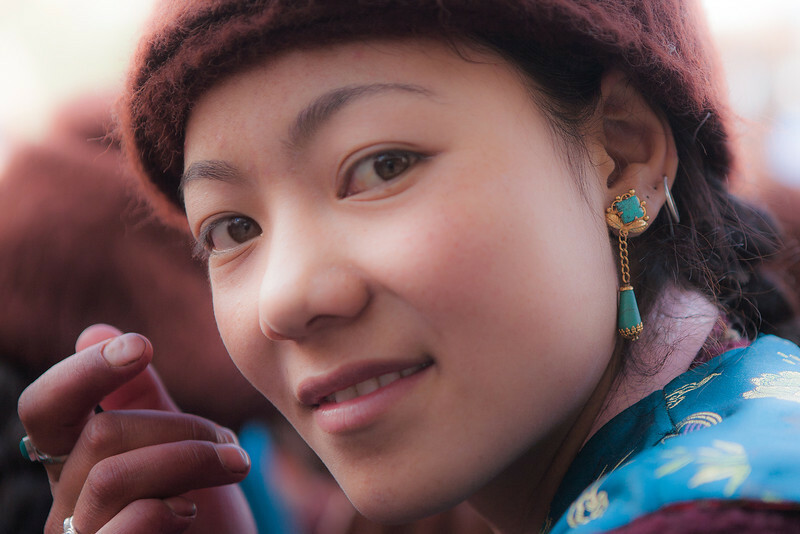 People from all across the Zanskar valley come to Sani, dressed in their traditional best. 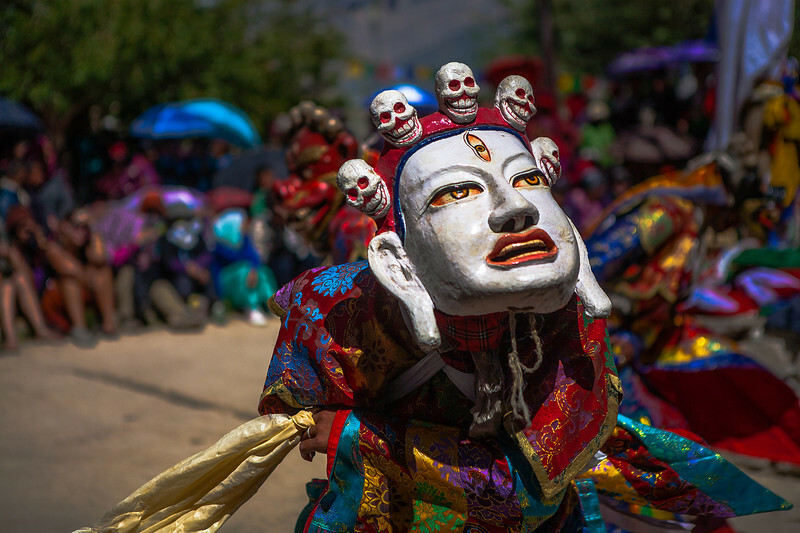 Read more on Sani festival: Colourful victory of good over evil. 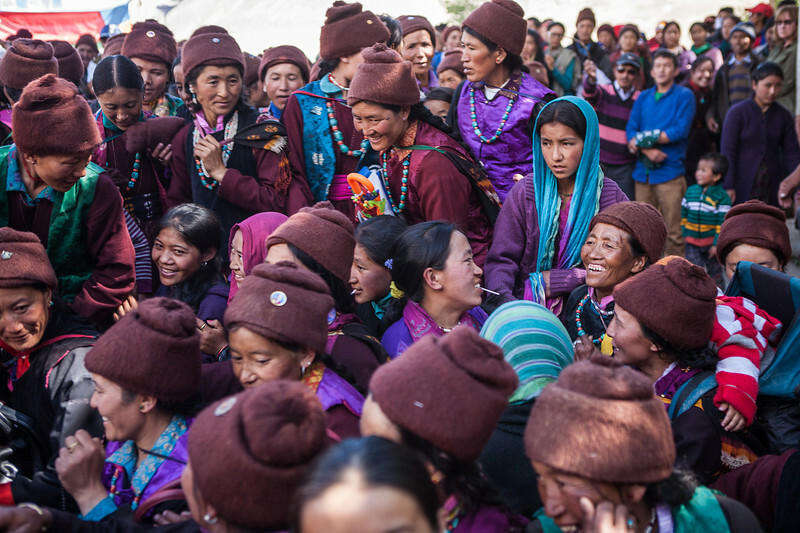 Khandoma, was the chief guest at the Sani festival. 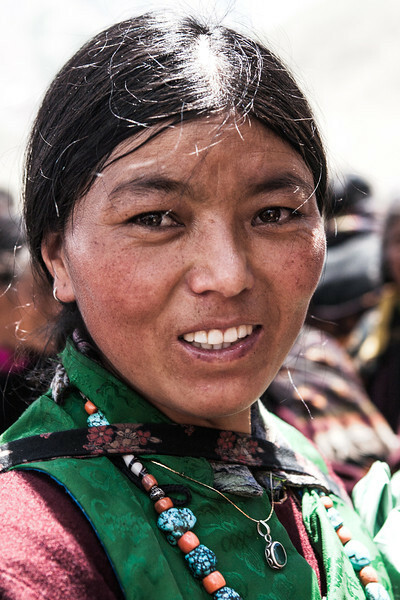 She is the wife of the Lama from Bhutan, a very respected personality. 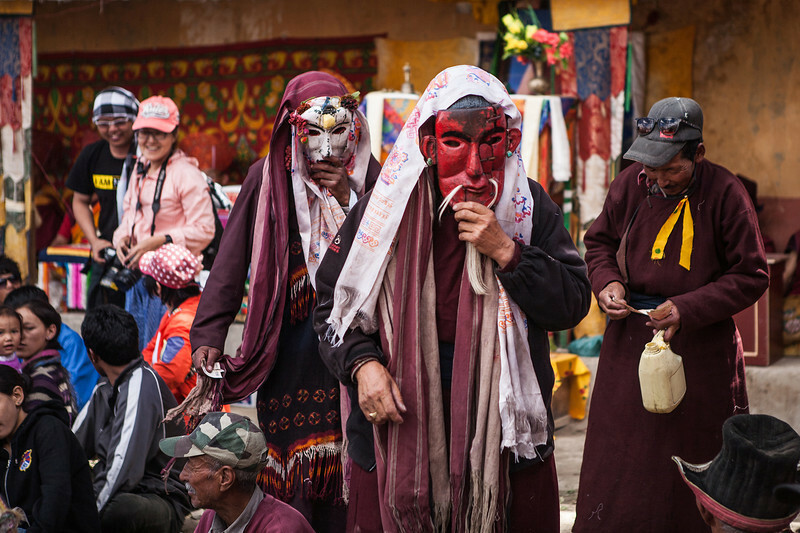 Read more on Sani festival: Colourful victory of good over evil. 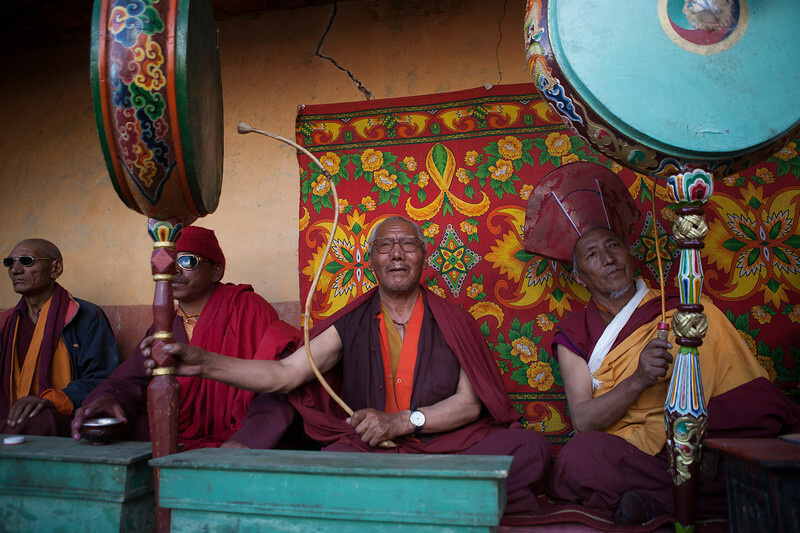 Drums are played to welcome the chief guest. 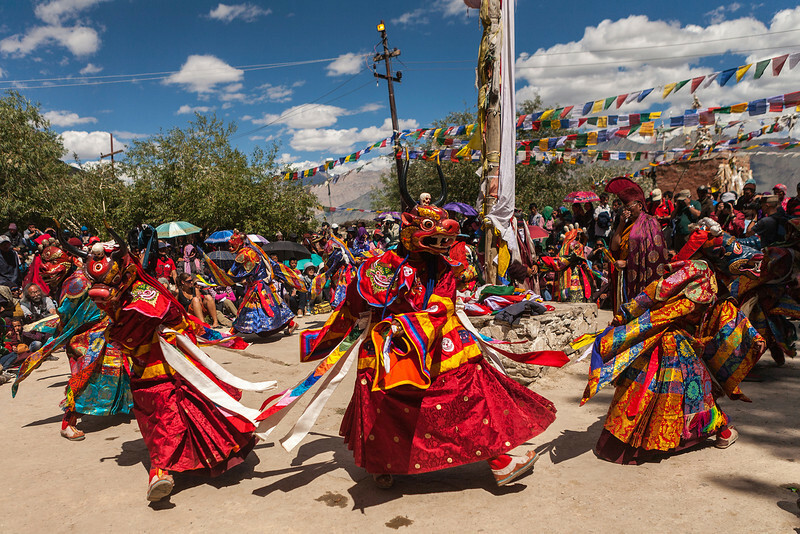 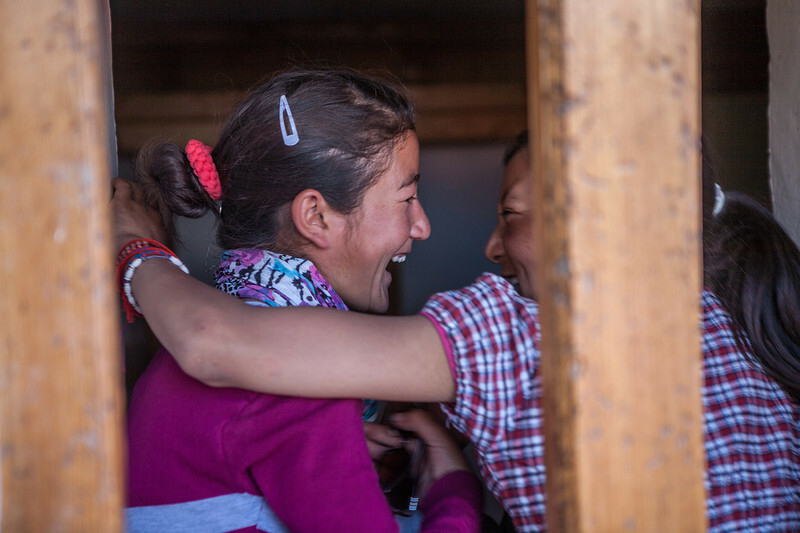 A two-day riot of colour, dance and music, the Sani Festival is the perfect way to build a social camaraderie among the far-flung villages of the Zanskar valley. 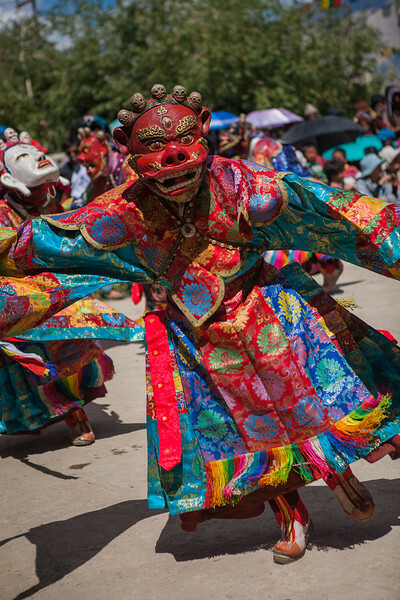 Read more on Sani festival: Colourful victory of good over evil. 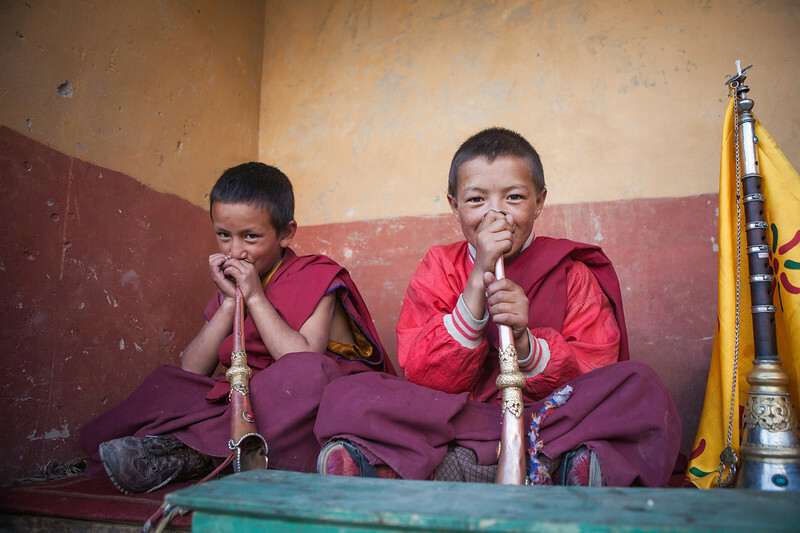 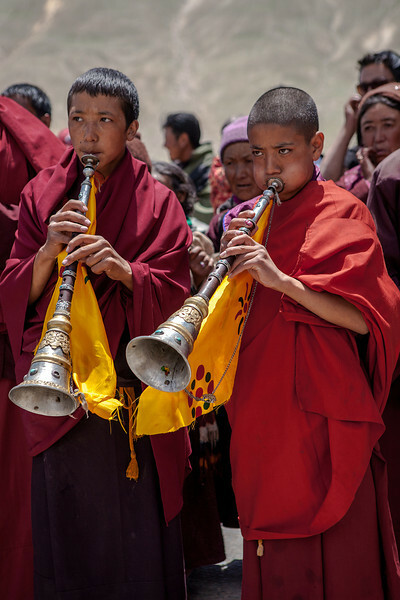 Two young monks play an instrument called Shehnai to welcome the chief guest at the Sani festival. 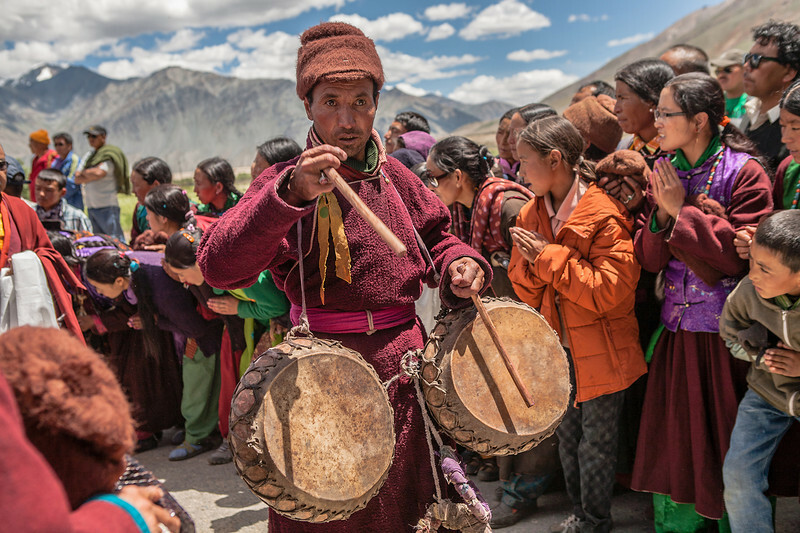 A two-day riot of colour, dance and music, the Sani Festival is the perfect way to build a social camaraderie among the far-flung villages of the Zanskar valley. 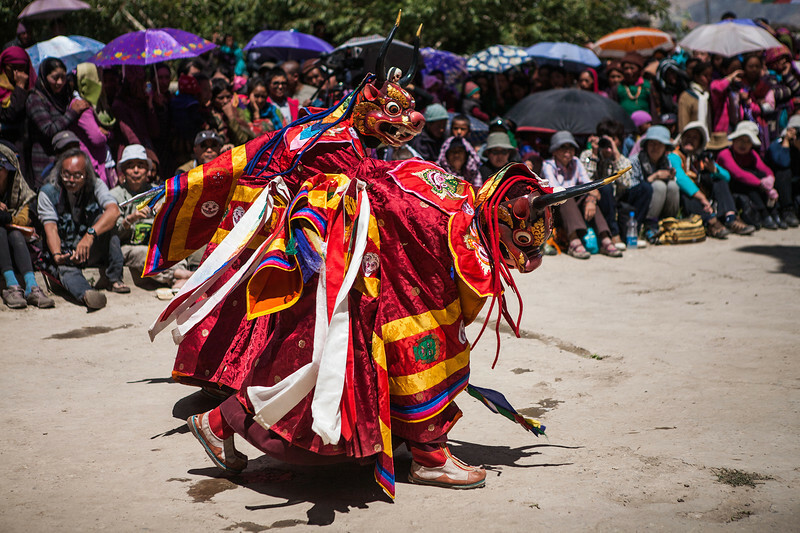 Read more on Sani festival: Colourful victory of good over evil.